Wow! 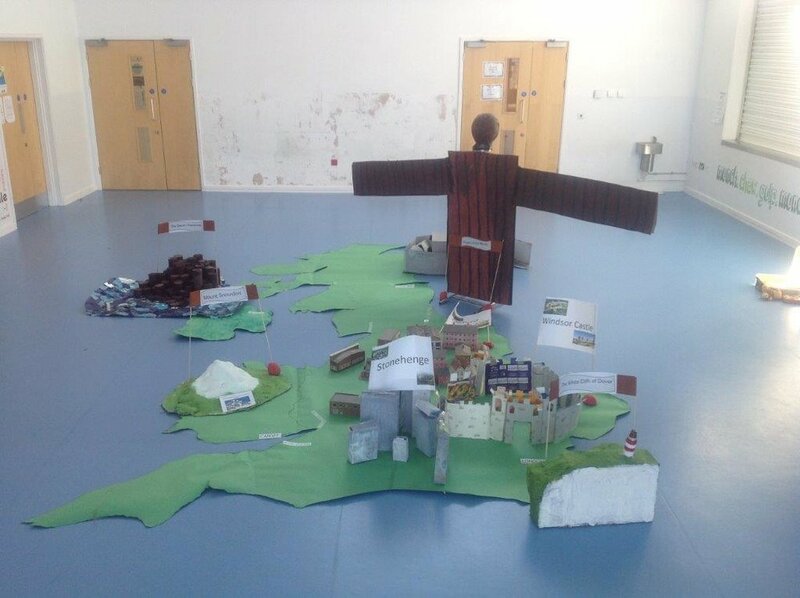 Bournville Primary School is Weston-super-Mare created a giant map, based on all the landmarks featured in my picture book, The Queen’s Handbag. They had also reimagined the tale by coming up with their very own imaginative stories. While there, I held 2 class events and read several of my books. Below, I am showing a class how to draw Zibbo, the dragon from my book Amazing. This is such a great example of how teachers can create fun activities and lessons, based on books. Mr Matravars, thank you for inviting me to see all of the amazing things your pupils created!